Its an interesting destroyer design, I think using the German/Japanese style bow tubes layout adds something to the style and keeps things compact for a heavy torpedo broadside. I like it. In March 1941, the Japanese needed to secure Port Moresby and Tulagi in order to use them as a base of operations for the eventual campaign against New Caledonia, Samoa and Fiji, as well as Northern Australia, which they believed would cut off support between the Australians and the Antarans. The Antarans in question were vaguely aware of this and dispatched the largest Pacific taskforce they could to hammer Japanese sea power in the region. For the first time since the start of the war, an Antaran fleet carrier would be actively present for the engagement, escorted by vessels like battleship Empress Azura, among dozens of other warships. Many other units, such as the submarines from the navy's Asiatic Fleet, contributed. ARS Caprillo, a New Andreas class fleet carrier, was the only one active and was the target for an intense competition among Japan's carrier squadrons, whom had known of her existence and presence for months. Caprillo herself was stationed in Australia for several weeks before actually sortieing. On 4 April, Port Moresby was attacked by land and carrier based aircraft without warning, as Allied code breakers had failed. By the following day a distress call had been signaled. Several moored vessels, mostly auxiliaries, put up a spirited fight against IJN warships that appeared on the dark morning of 5 April. In the late morning, destroyer ARS Harada steamed at 25 knots towards the battle as its first respondent, but was torpedoed by Ro-33. Another day later, HMAS Arunta and ARS Kuvara responded, and they were attacked by aircraft from Zuikaku with the former being torpedoed and the later withdrawing due to heavy bomb damage. On 7 April, Antaran Taskforce 13 was at last dispatched as a formal reprisal to the Japanese invasion, consisting of one fleet carrier, one battleship, four cruisers and ten destroyers. The Japanese vanguard, who were already fully aware of the capabilities of the Allies in this region, were far more prepared with two fleet carriers, two light carriers, nine cruisers, and over twenty '1st class' destroyers. At 10:40, submarines V-88 and V-74 torpedoed destroyers Kikuzuki and Hayashio who were patrolling the area just outside of Port Moresby and as a response they were depth charged by other vessels and land based craft for several hours. V-74 was lost and V-88 made it back into deeper water. At 11:10, V-88 returned alongside O-19 and made another attack on the Japanese force, sinking two munitions ships. V-88 fired her remaining three torpedoes at a battleship (later discovered to be Ise), two landed and one detonated. Ise was forced to retire despite only minor damage. At 12:30, IJN submarine I-57 spotted Task Force 13 steaming towards the Solomon Sea and made an attempt to attack. Her opening strike missed, she was pursued by escorting destroyers and confirmed sunk. While the attack was going on, the IJN carriers Ryuujo, Shouhou, Zuikaku and Shoukaku began arming their planes and were taking off to intercept the Antarans. Around the same time ARS Caprillo scrambled most of her airwing towards the location indicated by her own friendly submarines. At 13:20, attacker planes from Shouhou, escorted by fighters from Ryuujo, made visual contact with Task Force 13. This was also the first time the Japanese became aware of the 'super battleship' Empress Azura. Due to poor CAS, the IJN planes met no resistance from enemy fighters, though rather they were completely surprised and decimated by the level of shipboard AA that Empress Azura and two anti-aircraft cruisers possessed. Shouhou's small airwing of 30 planes were entirely shot down. Japanese historians theorized it was due to lack of experience on the part of the pilots, rather than the power Antaran AA in 1941, this is reinforced by the fact that latter air attacks that day were very successful.Of all the planes that were able to drop, only one of Shouhou's D3As landed two bomb hits, on cruiser Whitestone. Ryuujo's fighters reported a 100% casualty rate of the strike. At 13:30, one of Caprillo's fighter squadrons which had been called back, met Ryuujo's returning fighters. The resulting dogfight lead to 3 of the 5 Caprillo fighters getting shot down by the marginally superior A6Ms of Ryuujo, which had one of her 8 planes shot down. At 13:35, Caprillo's defending fighters were mopped up by Zuikaku's and Shoukaku's flight. Minutes later they spotted the Allied task force again and made a devastating attack run. Caprillo was struck by nine torpedoes and around twelve bombs. 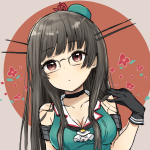 Caprillo's escorts were mostly ignored, accept for Empress Azura, as some of Zuikaku's pilots attempted to attack her, with one of four torpedoes striking her and all were lost. Of the around 80 bombers that attacked, only seven were shot down. Caprillo's damage was extensive and she was listing immediately after the attack. She was abandoned soon after with over 700 lives lost. At around the same time, Caprillo's airwing had spotted the Japanese carrier force. 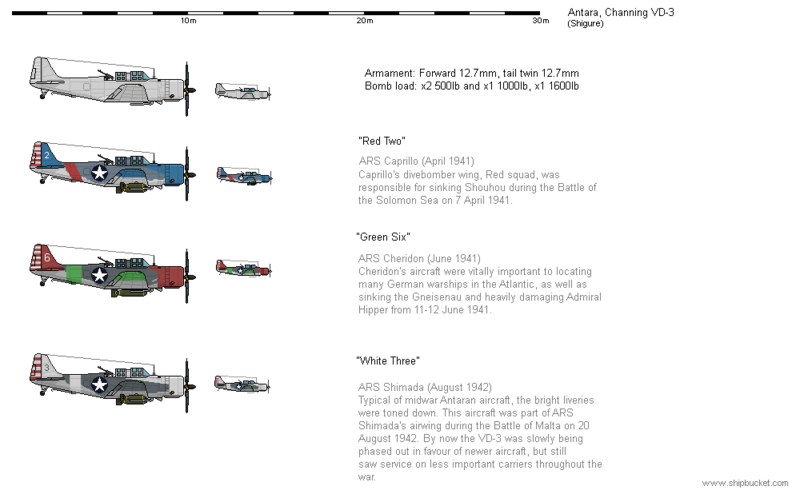 32 dive bombers and 16 torpedo bombers descended on the force. The 20 something remaining fighter aircraft almost successfully defended their bombers from enemy fighters, with only two dive bombers being lost to enemy Zeros. Due to the inexperience of the Antaran pilots, there was a great tendency to simply attack the nearest 'large' vessel rather than any of the priority targets. This meant around 25 planes attacked the light carrier Shouhou and completely sunk her. Zuikaku and Shoukaku were not attacked at all, Ryuujo received one 1600lb bomb hit which put her in the dry dock for several months, destroyer Ushio was hit with two torpedoes and sank within a minute, destroyer Oboro was relentlessly strafed by fighters, destroyer Miyuki was disabled by a bomb hit and scuttled by Shirayuki. Of the 70 something planes attacking the force, over 60 were eventually shot down. One fighter was intercepted on the return trip (whose pilot was picked up by a friendly submarine) and the rest were forced to ditch in the water as Caprillo had capsized. The battle was concluded with the Antarans turning tail and heading back to Australia, ending in a decisive Japanese victory. The loss of a light carrier was deemed an perfectly acceptable sacrifice for the sinking of a fleet carrier. The Japanese were able to keep a firm hold on Port Moresby, ultimately resulting in the pulling out of Antaran forces around Australia the following months. Eastern Australia was invaded by the IJA in 1942, with the local forces being defeated rather easily. Despite the incredibly high casualties and subsequent failure to halt the invasion of Australia, Fleet Admiral F. Bradford was now firmly convinced of the striking power of aircraft carriers. The first carrier battle of WW2 turned into a great learning experience for the Antarans. By the time the full report of the battle had been received, the navy had commissioned five new fleet carriers. Last edited by Shigure on November 9th, 2018, 1:35 pm, edited 1 time in total. Fleet Admiral F. Bradford theorized the role carriers would play in the future of naval warfare, and after much debate with the Admiralty in 1935 following the extensive experimentation with the navy's previous carrier classes, he managed to strongly convince them to extend their carrier programme. In 1937 three Carpathia class carriers were commissioned which completely filled the allotted tonnage for Antaran carriers. During their construction, three state-owned naval shipyards were also completed, intended to continue the rapid expansion of the navy. The political state of the world in 1937 allowed the Antarans to blatantly break past the treaty limits without much attention, and they gladly did so. Six additional fleet carriers under the New Andreas class were ordered and constructed solely by the new state shipyards, all simultaneously. All of Antara's fleet carriers (atleast from Carpathia), are named after Antara's provinces, inherenting the naming scheme from her battlecruisers. Some of the later New Andreas's were named after battlecruisers Nucadia and Arcadia, following their sinking in 1940 and 1941, respectively. Caprillo's airgroup sunk the light carrier Shouhou and several smaller ships during the Battle of the Solomon Sea. Cheridon, East Moren and Shimada served in the Atlantic and were responsible for events such as finding and sinking Gneisenau. Nucadia was the second and last of her class to have been sunk in action, this time during the Battle of Tuscadia, 1943. All in all the class as a whole was one of the most active capital ships during the war, seeing extensive service from 1940-1947, covering invasions, taking part in major naval battles, etc. None were decommissioned after the war, rather they underwent massive rebuilds and continued to serve until as late as 2000. Arcadia would be the only carrier of her class to have been preserved as a museam ship, accumulating 19 battle stars throughout her 57 years of service. Last edited by Shigure on November 9th, 2018, 1:36 pm, edited 2 times in total. Like my Empress Azura class BB that I drew for the fast battleship challenge, my carrier took me quite a long time to draw so it'll be a long time before I draw another. I hope everyone gets a nice idea of the design language of my Antaran carriers. Beautiful carrier you've got there. Looks Ok, but: every time your 8x5" (4x2) turrets wish to fire across the flight deck you would have to suspend flight operations till the guns stop firing. Have a look at the Essex class and what they did to help with that problem. They kept the turrets around the superstructure, but added four/six singles in sponsons off the port side. The British seemed to have figured it out with the Ark Royal and Illustrious classes splitting their barrage armaments to half each side. Had no impact on flight operations. The Japanese figured it out too, with their big (relatively speaking) guns parked on either side of the flight deck.